This cartoon logo featuring a cute yoga girl was created for retailer “Stuff Girls Like” as part of their company branding. 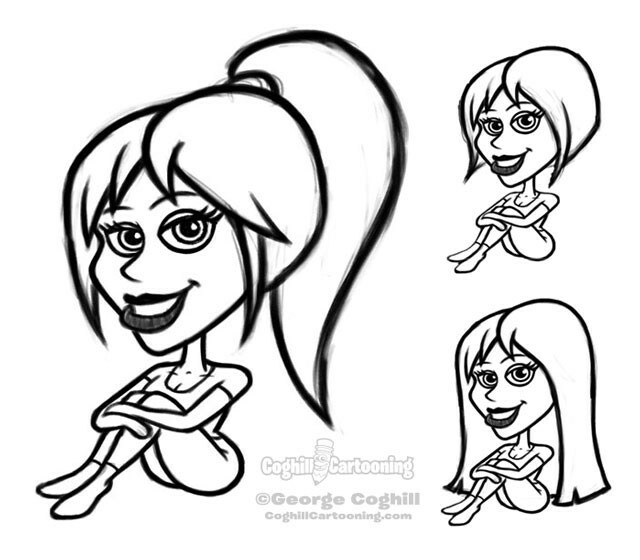 Initially, the client wanted the yoga girl character to be sitting upright, knees bent and arms hugging the knees. This initial sketch was right on the mark as far as the look of the girl, but the client wanted to see some hairstyle variations before choosing. Once I started working with the text and character placement, it quickly became obvious that the sitting pose wasn’t as ideal as the client had hoped. Initially, the request was to have the yoga girl perhaps leaning on the letters, but this was eliminated as a possibility early on. I suggested the pose with her laying on her belly, feet up in the air behind her. As you can see, the client eventually agreed.